For those of us in health IT, NHIT Week is a forum, a conversation starter and an awareness builder that assembles healthcare constituents dedicated to working together to elevate the necessity of advancing health through the best use of information technology. As a brand awareness campaign, the effort is paying off and bringing about deeper conversations with health IT game changers, leaders and those who wish to learn more about the ramifications of the technology on the overall landscape. Vision, innovation, hard work and perseverance are foundational to any significant change for the better. These are fundamental components of the health IT movement—an ever-evolving landscape that has experienced tremendous successes, along with its share of challenges. National Health IT Week offers a platform for celebrating progress and expanding awareness of the tremendous potential of health IT to advance healthcare’s broader goals of improved outcomes and lower costs. It’s an opportunity for those deeply involved in the movement and those watching it unfold from a distance to come together and remember what forms the core of its agenda: improving the human experience and saving lives. Here at Wolters Kluwer Health, we have the advantage of seeing the outcomes associated with advances in clinical content integration, clinical knowledge management and data analytics every day. Whether it’s a highly effective response to a public health crisis or the ability to mitigate adverse outcomes through real-time patient surveillance, our clients are experiencing a transformation to more highly-effective care delivery. 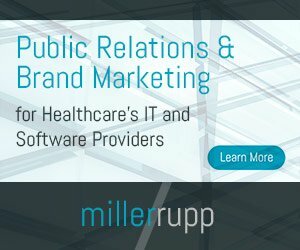 Does National Health IT Week Matter?